What can I say? I love boxes; cardboard, wood, big small. It doesn’t matter. Many are saved from my recycle. Some find their way into my house via places such as Michaels and Hobby Lobby. I’ve dressed them up using paint, ribbon, buttons, contact, scrapbook or wrapping paper. I love little boxes as much as I love trays! I think that’s the reason why boxes are next up in my For The Love Of series. A scalloped wood box covered with scrapbook paper and ribbon makes decorated bird boxes. 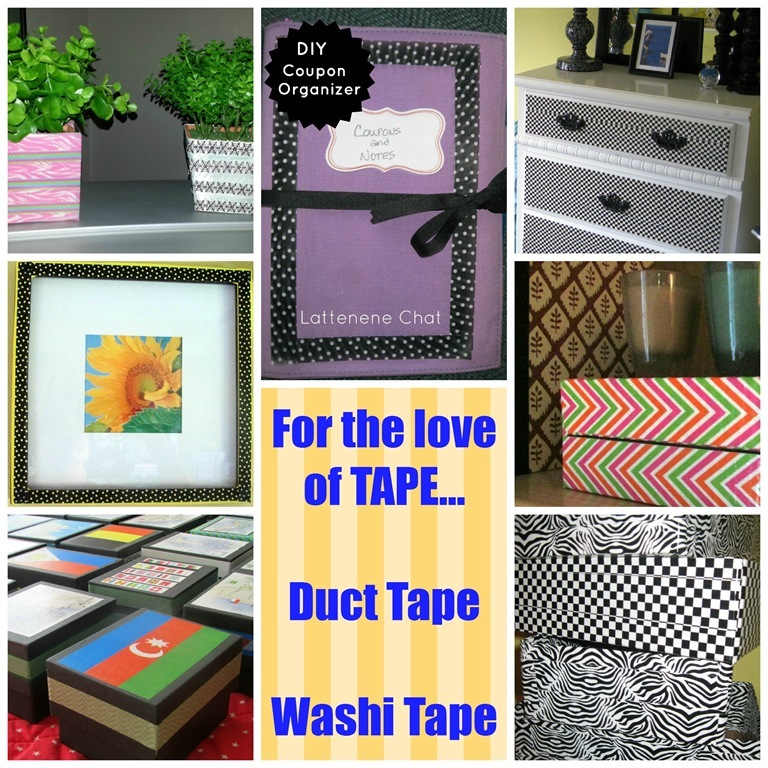 Cover empty cell phone boxes with scrapbook paper or duct tape. I used wrapping paper from Home Goods to cover a boot box and gave it to my outdoorsy neighbor. Use paint and a stencil to make a cute green ivy box. I use it for recipes. Bright pink or blue paint and buttons made a set of cute boxes for a friend’s birthday. A 3 drawer storage box always comes in handy. Silver paint and glass squares made these mirror boxes. 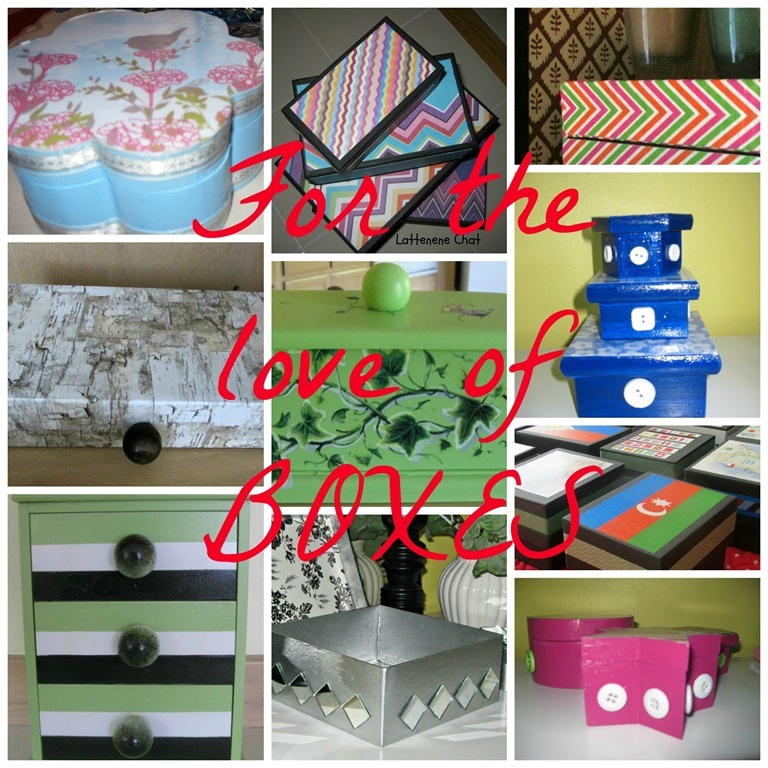 Do you have a love for boxes? If you want to see other loves in this series just click on the page. It’s noted at the top of the blog. Happy Monday! Happy Monday all! I hope your weekend was fabulous! I had a great one. It contained all the things I love; gardening, shopping, sunshine, friend get-togethers , BBQs, projects and new challenges. Its been a while since I’ve shared a For the Love of post. As I was cleaning house yesterday I was reminded how many trays I have all over my house, both store bought and thrift bought. Trays are so versatile , come in so many different colors and shapes and can be used anywhere to corral miscellaneous items or just as a decoration. Here’s just a few that have met my hand when a can of spray paint was attached to them. The last tray does not have an associated post. I just picked up an old tray at the Goodwill and spray pained the outside black and the inside copper colors by Rustoleum It’s the perfect size to hold a few magazines and the remote controls Yyes, I said that as plural…grrr. I think sometimes electronics are mans best friend. 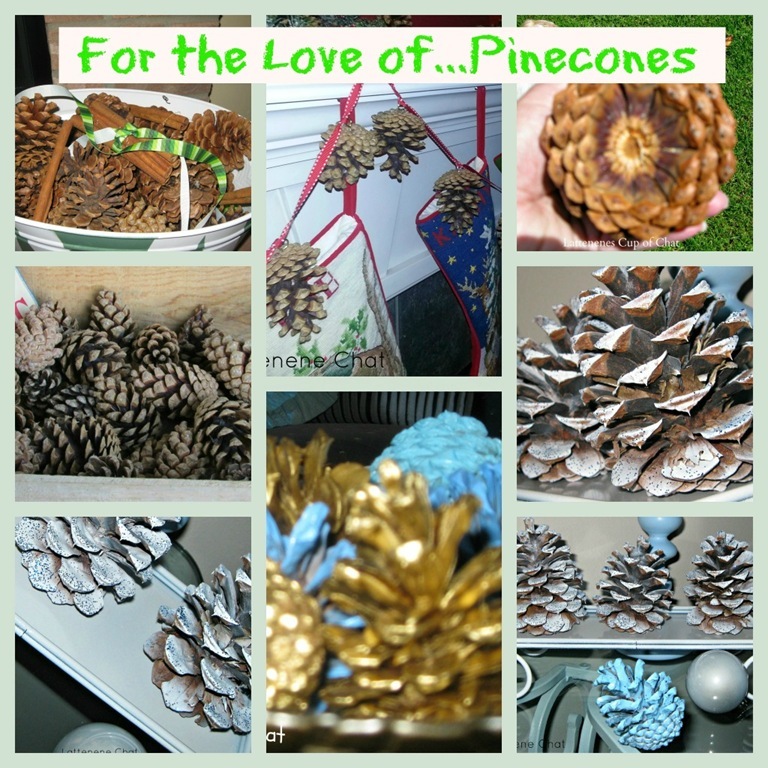 If youd like to read my other For the Love posts on pinecones, ribbon, buttons, spray paint and contact paper just click here. 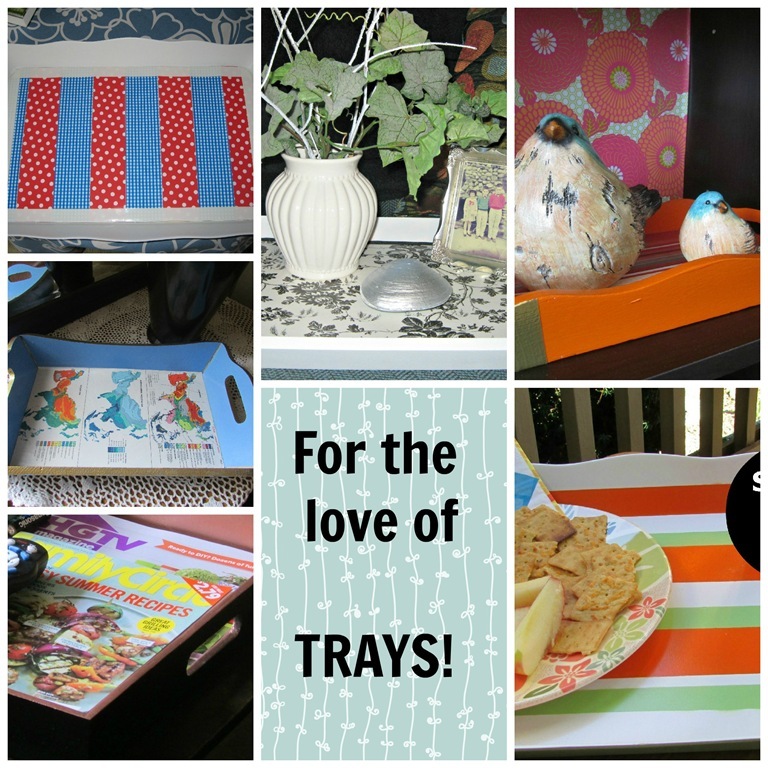 Do you use trays around your house? Enjoy! 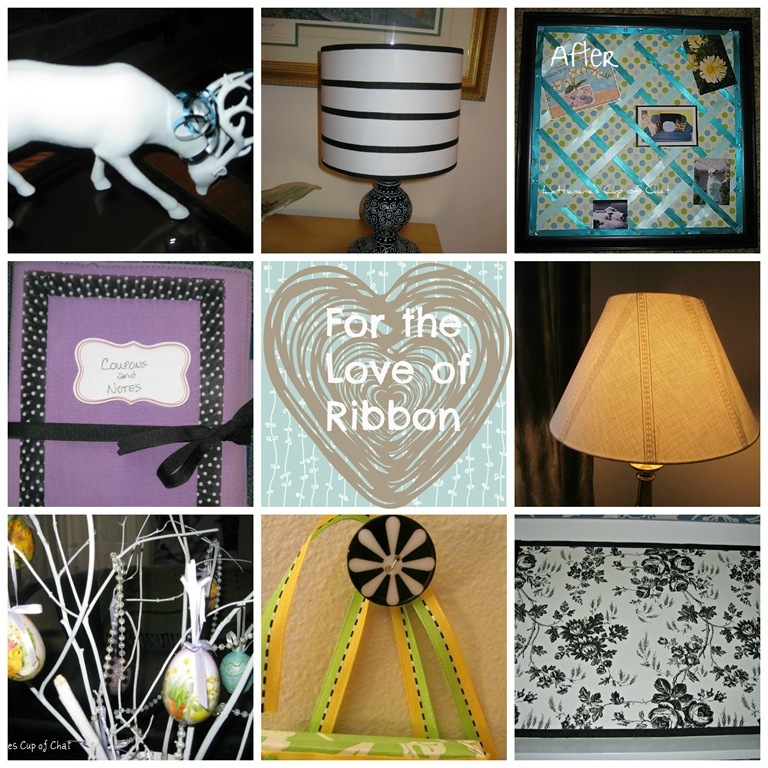 Do you have any favorite craft items? Come back tomorrow. I’m hoping to share a recent craft blooper that’s also good for a few laughs! Happy Monday! How was your weekend? My weekend was so fun. Saturday I went thrifting all day with my best neighborhood lady friends and we had a blast and came home with a car full of stuff. I’ll hopefully share my finds later this week. Sunday we watched our beloved Seahawks go down to the wire and lose, giving up their quest to play at the Super Bowl. It was a great game though, especially the 4th quarter! Today I wanted to continue with a series that I lovingly call For The Love Of and today it’s all about Pinecones! 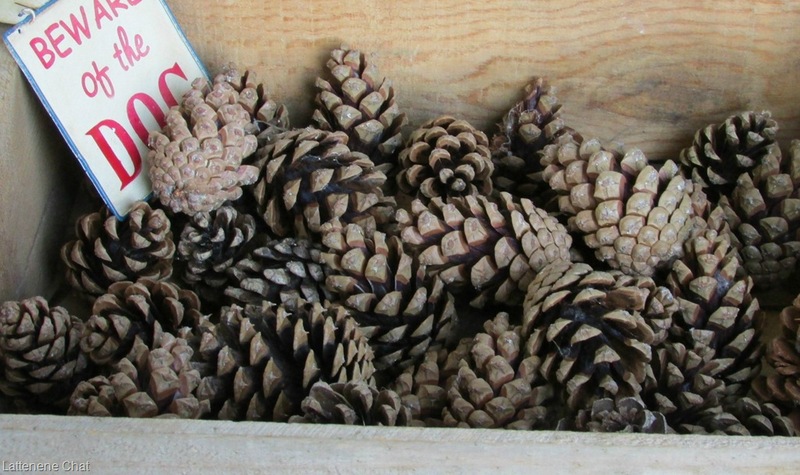 It all started when we took a trip to Oregon last summer and I gathered a couple bags full of pinecones from the Ponderosa Pine Trees . I’ve spray painted them, and glittered them. I’ve also left them plain in a weathered box on the front porch. 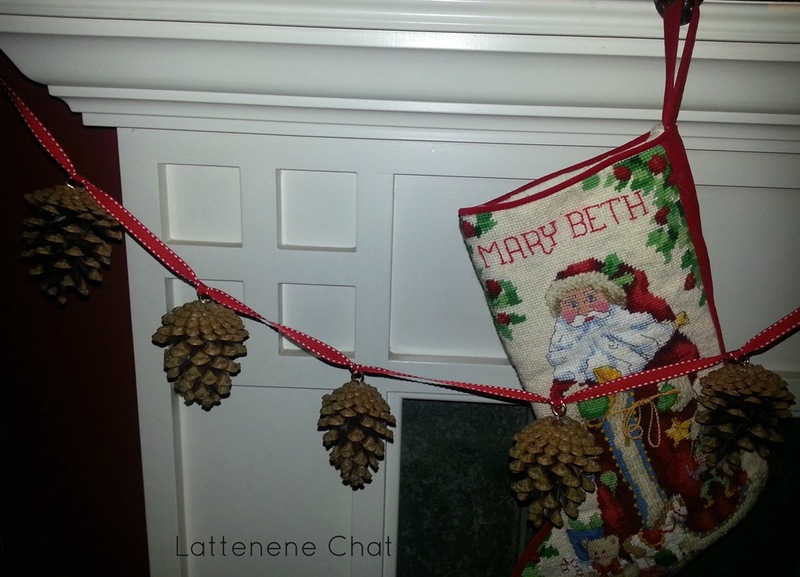 During the Christmas season I didn’t share a post on it, but I made a ribbon and pinecone banner for my neighbor’s fireplace. It was as simple as inserting cup hooks in the end of the pinecone, then running the ribbon through. I love natural elements like pinecones. 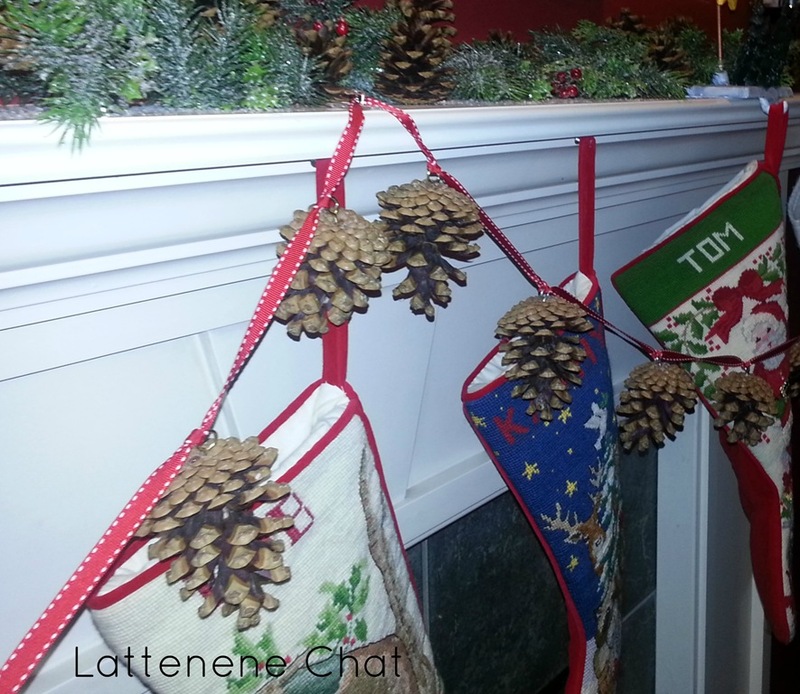 Have you decorated with natural elements before?